When our dog puts a reassuring paw on my knee at the end of a tiring day, I could swear he knows just what I’ve been through. Turns out there’s more to that than wishful thinking on my part. Through neuro scans, scientists have zeroed in on an emotion detector in dogs’ brains that isn’t too far afield from the same detector in humans’ brains. It helps canines interpret tone in the human voice, just as it helps them distinguish between a friendly growl and a menacing one from another dog. 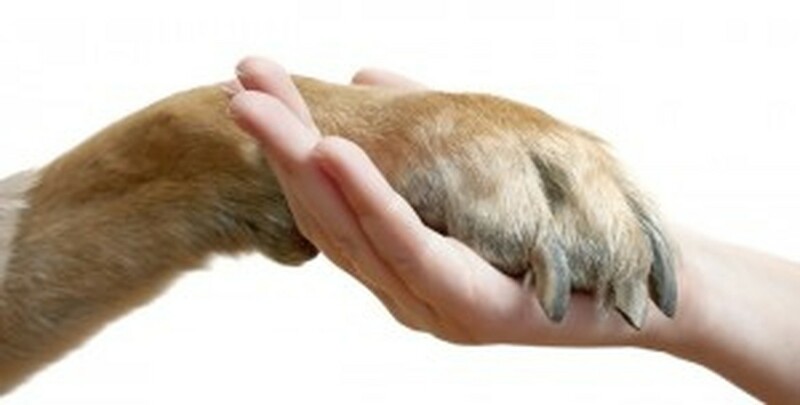 When our dog puts a reassuring paw on my knee, I could swear he knows just what I've been through. 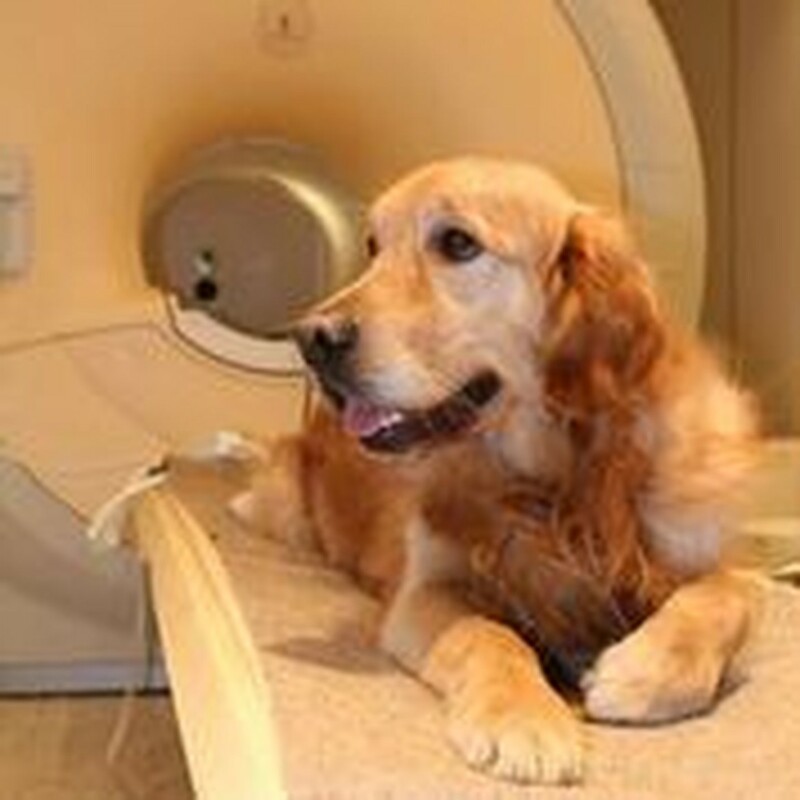 Watch the video: "Human and Dog Brains Both Have Dedicated Voice Areas"
Researchers persuaded 11 dogs to enter MRI machines. 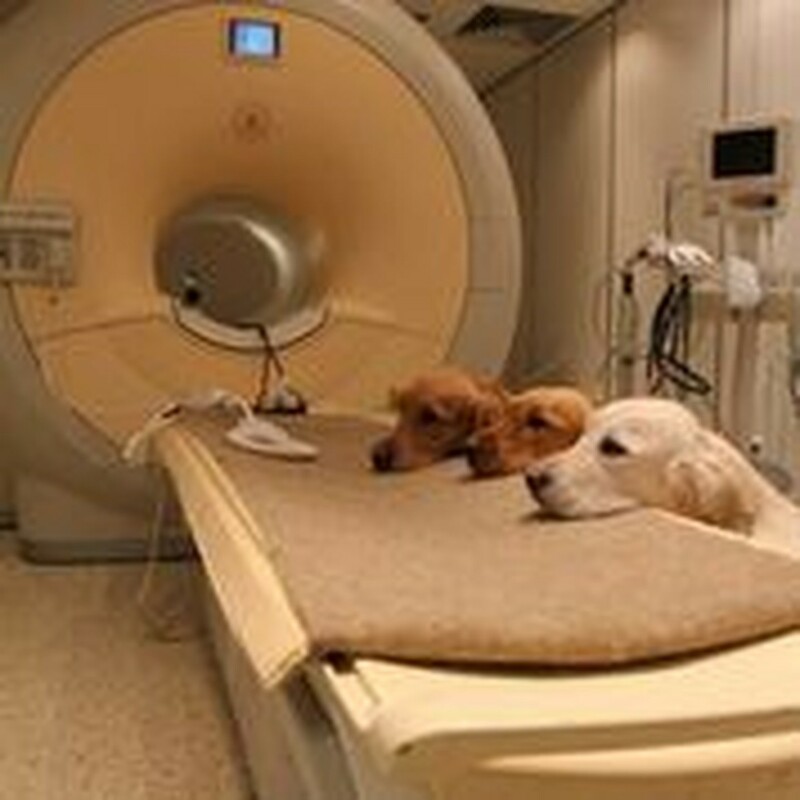 Using treats and alpha-like role models, researchers in Budapest persuaded 11 dogs to enter MRI machines for 10 minutes at a time while nearly 200 noises from people, dogs or the environment (phones, hammers) were piped in to the tube. A set of human subjects were exposed to the same. Scientists recorded the associated responses in each subject’s brain. In both species, they found that the neural circuits in a zone known as the nonprimary auditory cortex showed greater activity in response to happy sounds, whether playful barks or laughter. Subjects’ brains also responded more vigorously when exposed to sounds from their own species. The findings were published in February in the journal Current Biology and reported on npr.org (see https://tinyurl.com/kvdsr2j for the full story, with adorable photos from the lab study). Now we understand why our dog’s tail and head drop when my husband lowers his voice and elongates his syllables sternly. The study also may explain why my husband does this instinctively to stop a behavior. The study doesn’t directly explain why our dog barks, seemingly in protest, whenever we count out loud, usually while playing hide-and-seek with our daughter. But we’ll forgive the scientists for not covering that. This is the first comparative neuroimaging study of a nonprimate species and humans — and probably not the last. 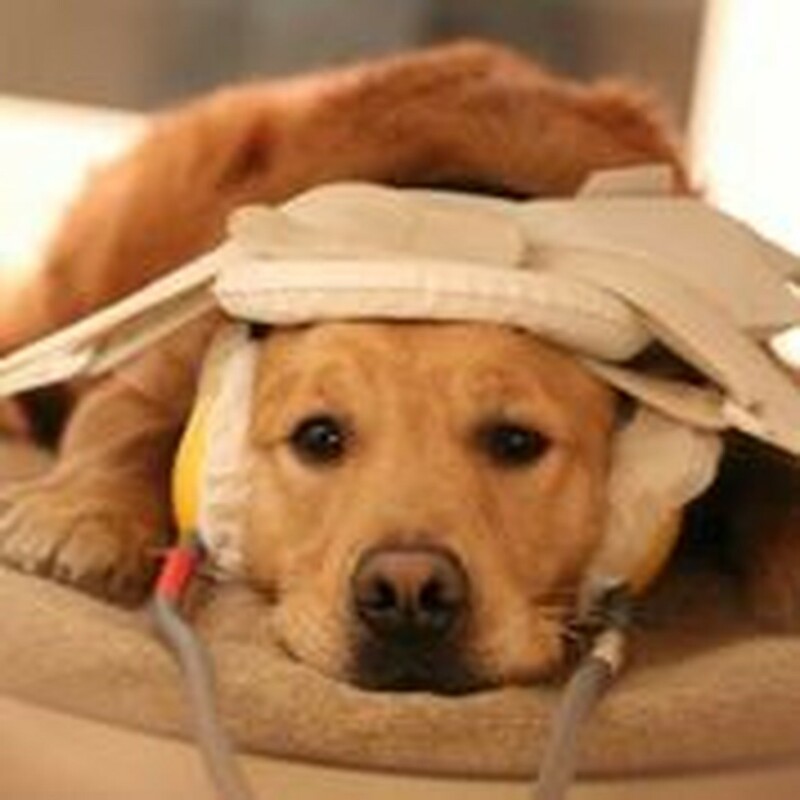 Like people, dogs use simple acoustic parameters to extract out the feelings from a sound.